TYPO3's default search extension called "Indexed Search" is fine for small web sites, but if your web site is bigger (> 500 pages), it is getting very slow. 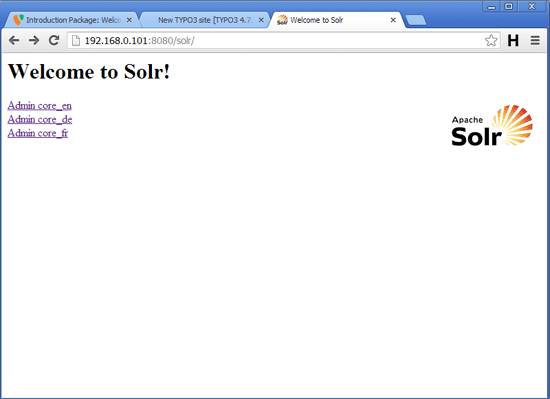 Fortunately, you can replace it with a search extension that uses the ultra-fast Apache Solr search server. 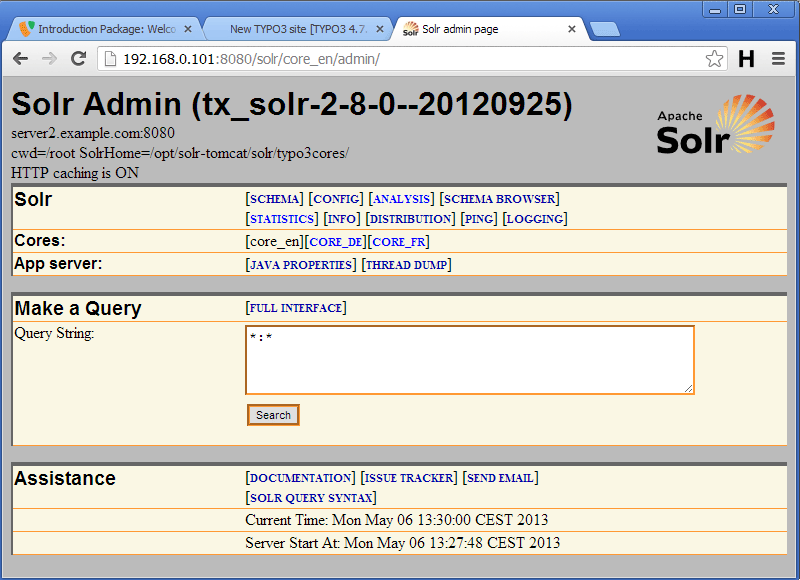 This tutorial explains how to use Apache Solr with TYPO3 on Debian Squeeze. 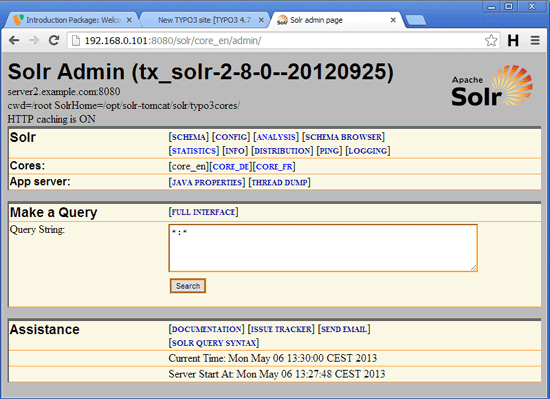 server1.example.com (IP: 192.168.0.100): web server where the TYPO3 4.7 Introduction package is installed (in the www.example.com vhost). 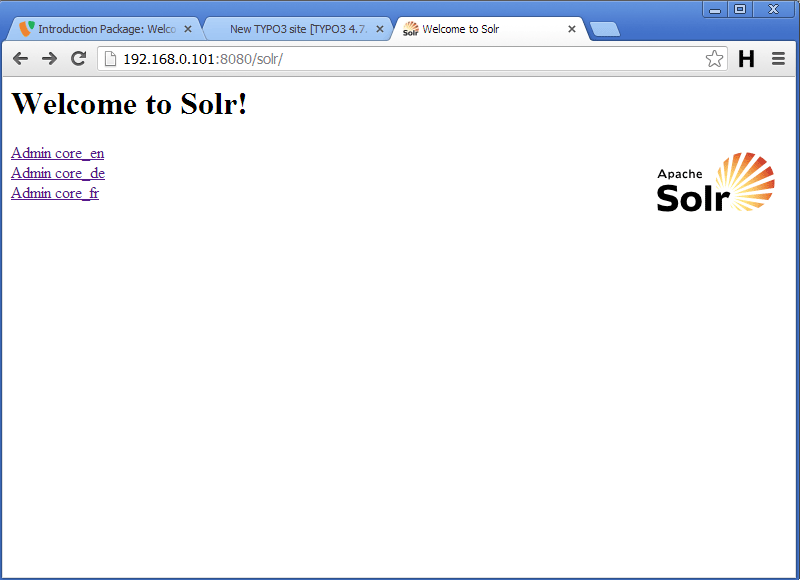 server2.example.com (IP: 192.168.0.101): separate server where I will install Apache Solr. 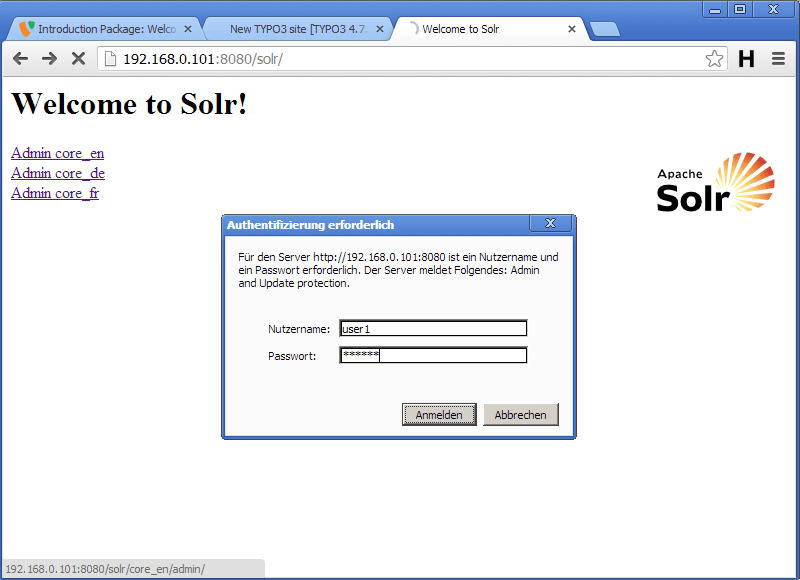 Of course, it's possible to install Solr on the same system as the web server; however, I'd like to split up both services so that they do not impact each other's performance. Because Solr is listening on all interfaces, it is a good idea to add authentication to it. I will now configure the user user1 with the password secret for the English core.